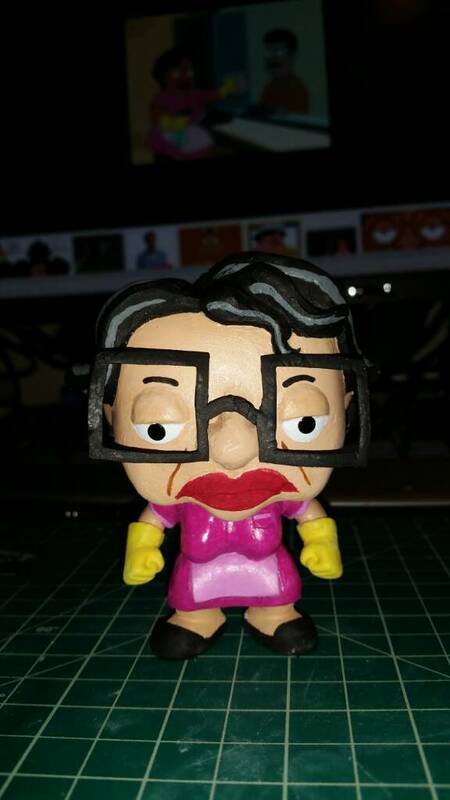 I've been working on this custom figure. Who remembers what movie this is from? Correct! Still a lot of work to do. What's the base material that you shape them from ? Looks like some sort of plastic-y clay. 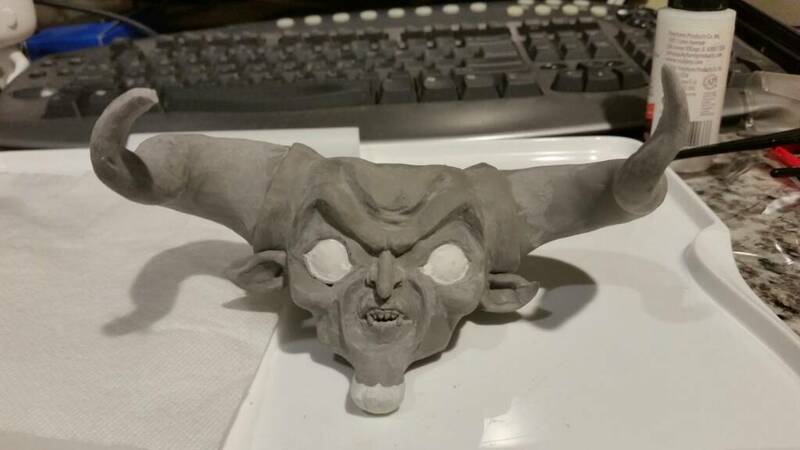 I start with a Funko DIY blank figure and then use Sculpey modeling clay. This stuff remains soft until you bake it in the oven. In the GRRM figure, the hat and glasses were done using Sculpey, but just about everything else was done using a two-part self-hardening epoxy clay called "Apoxy Sculpt". You're welcome! If you decide to start, I'd be happy to answer any questions you may have. More pops. Yes, it's in Australia, and I ordered a Dr. Who mug from them and fell in love. Okay. Those are pretty cool. The Orphan Black ones, especially. It's amazing how, without reading the names, I could tell who each one was, despite the fact that they're uhhh, yeah, spoilers. The Rachel Duncan with the pencil in the eye is especially spectacular. Need to sculpt the body next. I'm envious of your artistic ability. if you're interested in making money out of this, there is a guy I would recommend speaking to. I can't guarantee a single thing, but Gaston @ Meltdown Comics is the guy. I will definitely get a brotherhood of steel, and maybe a Vault Boy (Always wanted to call a band that). I might get an Alduin, but I will definitely get a Daedric Warrior. Thanks, i guess we each have our areas of talent and/or deficit. I have absolutely no understanding of music. My musical ability would be less than the equivalent of a stick figure drawing. 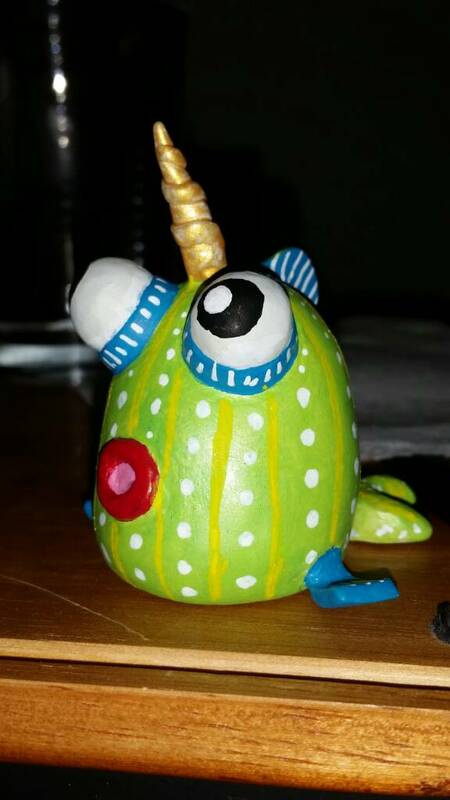 There are a couple Funko Pop trading groups on FB as wells as some customization groups. 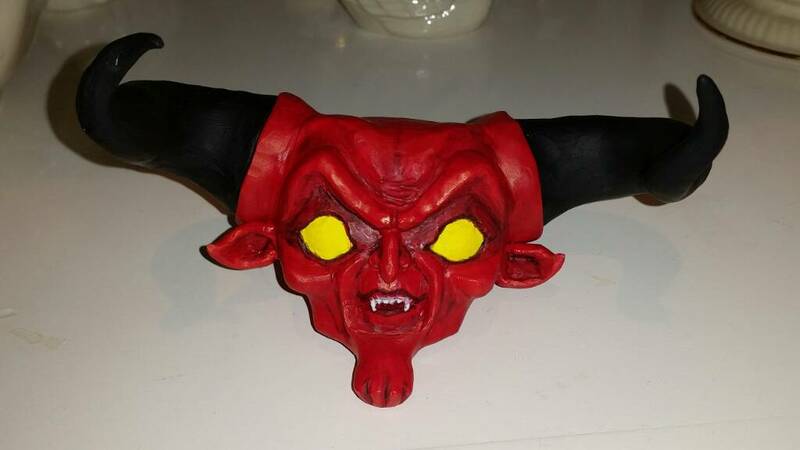 I've been asked about selling the Darkness figure, but I'd need to expand into making cast reproductions because the amount of money I could make selling one would not be worth the time put into making just one. 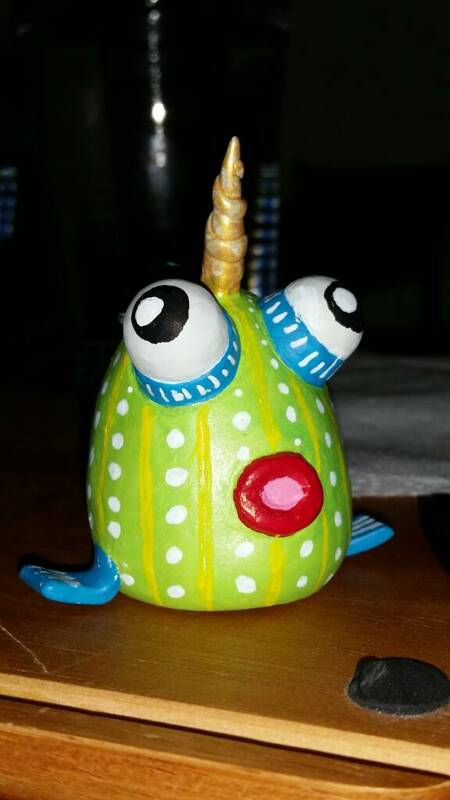 But i do have some interest there and I'm trying to recruit my starving artist brother into helping out. So i will keep your reference in mind. Last edited by Merkus; June 6th, 2015 at 01:17 PM. 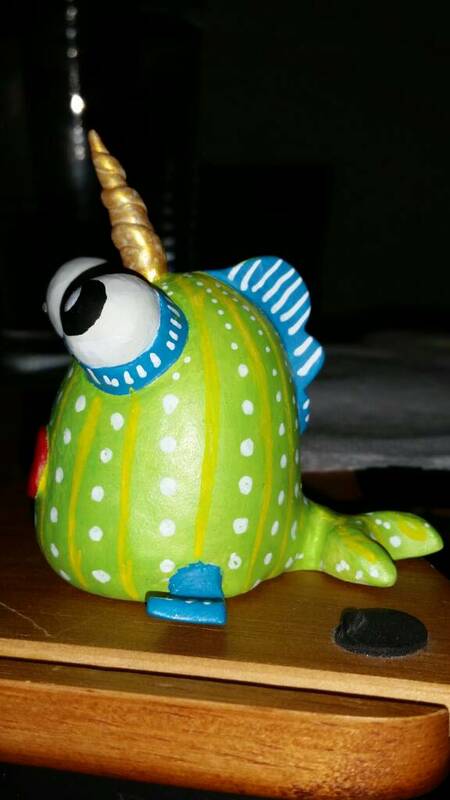 I made this unicorn fishy for my daughter. Modified this figure today. 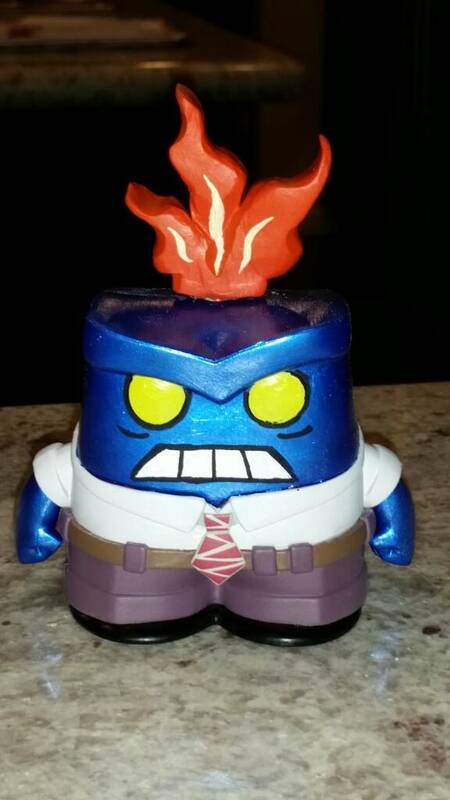 Painted it blue and added the flame and frown. 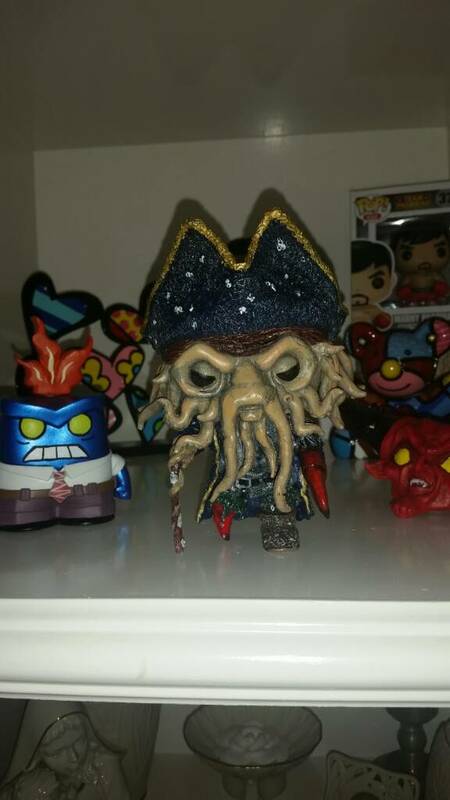 I bought this Davy Jones (from Pirates of the Caribbean) custom Pop figure from a guy in Australia. Excellent piece of work! I have honestly never heard of this art style until just seeing this thread. Funko's Pop line is just a type of vinyl toy collectibles which has existed for a long time.